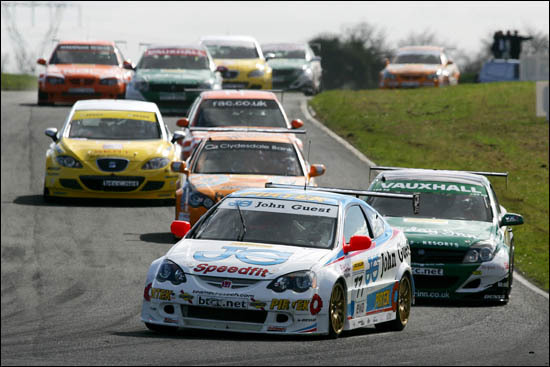 Three races at Brands Hatch, then three more at Mondello Park last Sunday, April 23, and in the third of Sunday's BTCC races, Mike Jordan was a winner – seeing off the likes of Matt Neal, James Thompson, Fabrizio Giovanardi, Jason Plato and Tom Chilton. Jordan had effectively started from pole, with Mark Proctor not making the grid in his Honda, and apart from a brief challenge from Gavin Smith, Jordan was an untroubled winner, by just over a second – achieving something that he found impossible in last year’s British GT Championship. His pace in race 3 was markedly better than in the first two, the team having found a broken front anti-roll bar, a legacy of an accident at Brands Hatch. Jordan’s 2005 GT partner Michael Caine was involved in the Carrera Cup at Mondello, but he was eliminated early on (after seven laps) in race 1, victory going to Damien Faulkner, from Tim Harvey. 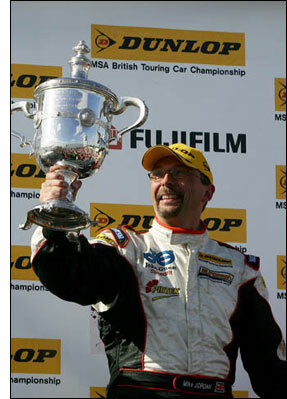 Phil Quaife was first of the “amateurs” home, in fifth, ahead of fellow 2005 GT rival Sam Edwards, with David Ashburn ninth. Race 2 saw last minute stand-in Tim Sugden join the fray: he had travelled to Ireland with no thought of racing (he’s managing Formula BMW driver Chris Holmes), but Sugden was out on the opening lap. Caine only completed one – but Harvey was the winner this time, with Quaife fifth again and Ashburn ninth again. Sugden had briefly tested the IN2 Porsche 997, and was within a couple of tenths of the fastest men ‘straight out of the box’. Chris Holmes is racing against the Mansell offspring this year.